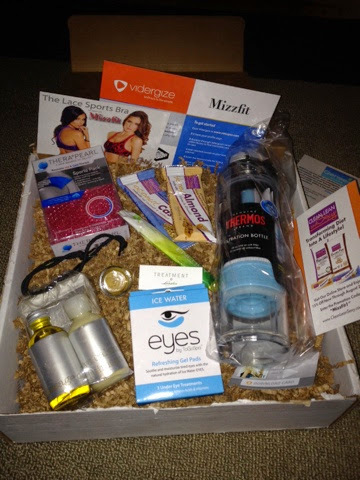 This quarter's #Miz03 Quarterly box curated by Bianca Jade aka MizzFit has arrived! I feel like I have been waiting for this since mid-May and now that it's here, I can't wait to use everything! This month's theme is all about rejuvenation after a workout. The largest item is the Thermos filtered water bottle. I already using another filter water bottle so will have to save this for a bit later. Vidergize is one of my favorite sites to get on-the-go workout videos. Using a credit system, ($1 a credit) you can easily watch videos for a buck or two all in the comfort of your own home. You get a free 7 credit pass with this box. Now on to my favorite beauty products... 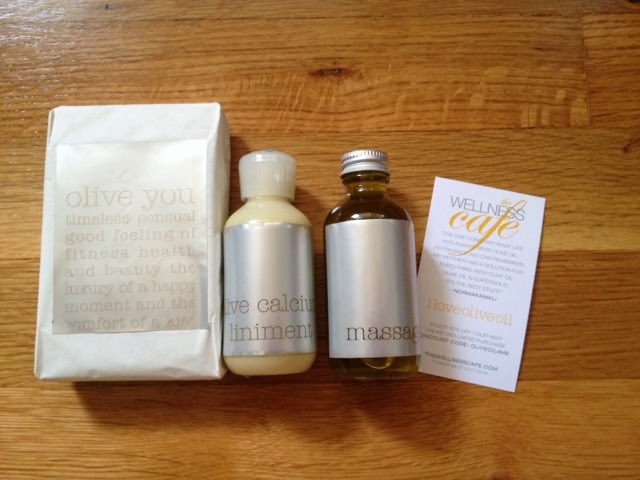 The Norma Kamali trio set- soap, massage oil and liniment (aka moisturizer). Olive oil is so naturally good for your skin and I love how it moisturizes. Really excited to try the soap now.. As I've already dabbed myself in some of the liniment and oil. We also received a special blood orange lip balm and eye gel pads to keep your face feeling refreshed. It was completely thoughtful of Bianca to keep us feeling spa-like from head- to- toe with all these products! There's also two snack bars Almond and Cashew flavors. Nutty!